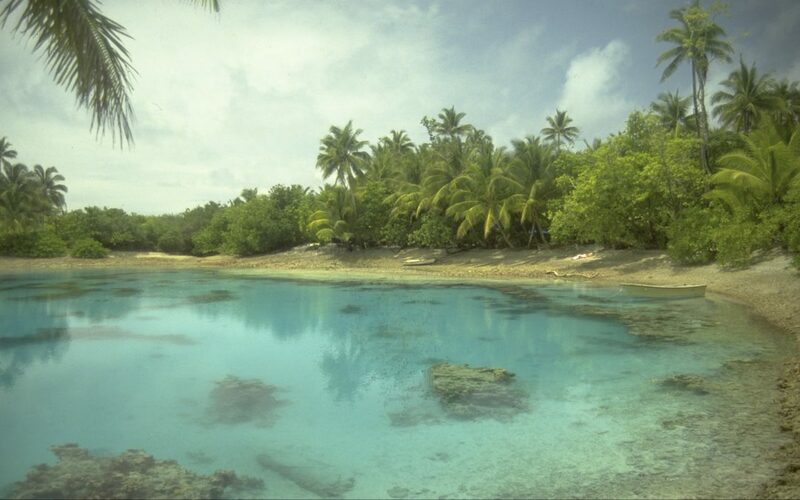 The Marshall Islands represent a unique case for conservation planning due to their geographic isolation, lack of substantial environmental data, high levels of subsistence use of natural resources, and traditional land-tenure and governance systems. The Marshall Islands’ marine resources also span a very large extent with an EEZ of over 2 million km2 , home to 29 low-lying coral atolls and five solitary low coral islands. These marine environments are rich in productivity and biodiversity. Historically, traditional conservation practices and enforcement have historically prevented environmental degradation, but the decline of these practices had led to unchecked harvesting of marine resources. Additionally, invasive species, unsustainable and illegal fishing practices, increasing coastal development, and the threats associated with climate change and sea level rise put significant pressures on the Marshall Islands’ marine environment. In 2006, the President of the Marshall Islands signed on to the Micronesia Challenge, committing to effectively conserve 30% of nearshore coastal and marine resources by 2020. Despite localized efforts to establish conservation efforts across the Marshall Islands, the commitment to the Micronesia Challenge underscored the need to implement an overarching approach to conservation planning. Building capacity for conservation – planning process used as an opportunity to develop knowledge, skill, and to build tools and frameworks for effective conservation. The process of identifying conservation targets relied heavily using local knowledge during the stakeholder engagement process to identify areas and species of cultural significance. Conservation targets were identified at a coarse-scale, for broad habitat categories and ecosystems, and at a finer scale for important species targets, rare communities, threatened/endemic/flagship species, and places and species with cultural and/or economic importance. In the resulting plan, the primary strategy for the establishment and management of conservation areas and targets is through community-based fisheries and resource management planning on individual atolls. To ensure success of the plan moving forward, the plan set up steps for performance monitoring, evaluation, and adaptive management, as well as continuing education, awareness and capacity building at the community level. The planning team consulted with TNC experts on various aspects of plan development, and used TNC’s Designing a Geography of Hope ecoregional planning framework to guide process. TNC also helped to develop a long-term fundraising strategy for the Marshall Islands to ensure long-term support for conservation management, and to determine how to make the most effective use of funds committed during the Micronesia Challenge. This ecoregional planning framework was completed in 2007, and includes provisions for a review every five years. Reimaan National Planning Team. 2008. Reimaanlok: National Conservation Area Plan for the Marshall Islands 2007-2012. Published by: N. Baker: Melbourne.